Haplen is a free project management tool with sortable, filterable Kanban board. Here it is like any project management tool that has Kanban Board but with more features. 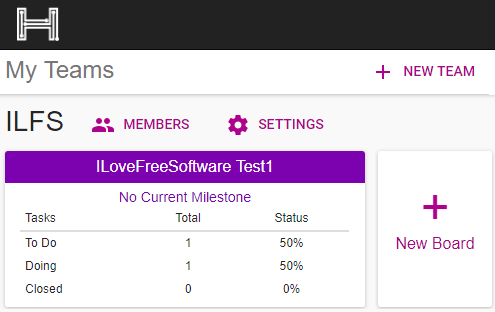 Here it lets you create a team and assign different tasks to each member. You can track the progress and status of the tasks right from the Kanban board that it offers. And you can even opt to convert the Kanban Board to list view as well. And it allows you to change the view of tasks with the help of filters and grouping options. Here it lets you filter tasks by milestone, category, priority, status, assigned to, and type of task. Haplen is a simple project management tool that combines the power of Trello and Kanban board. You can organize your team and projects pretty easily and track them too. You can create your team just like you create in other tools and then start assigning tasks to each one of them. While assigning a task, you can attach a file, a small description for the team member. You can assign tasks and then track their progress right from the Kanban board which is filterable. You can use all the options that it offers to filter and visualize the tasks in the way you want. There are a lot of project management tools we have covered that you will like. But Haplen is quite different here. And it is simpler than the others that I have ever used. Just sign up for a free account on its homepage and then create your team. You can search your teammates via their email and if they are not using Haplen yet then invite them. After inviting your teammates, you can start distributing tasks among them. For each project, create a new board and then add different tasks in the individual board. 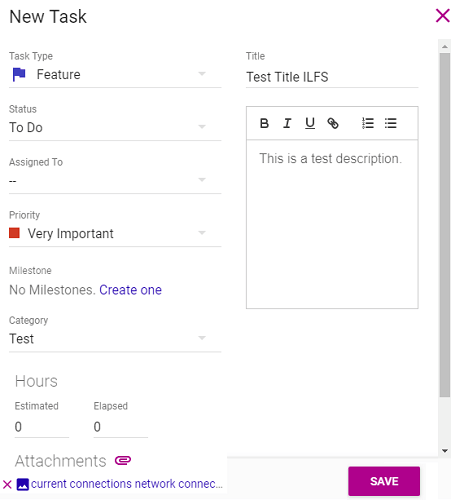 While creating tasks, you can specify a lot of details about it such as task type (feature, fix, update, discussion), title, status, notes, attachments, milestones, priority, category, etc. You can assign task to any teammate and then track its progress. After you have assigned all the tasks, you can track their status from the dashboard. You can even change the view of the task to Kanban rather than list using the toggle option from the top left. And then you can use different filters to visualize the tasks as well. It offers you a lot of options to filter and group the tasks in the view. You can easily filter tasks by their status, type, category, assigned to, and some other options. 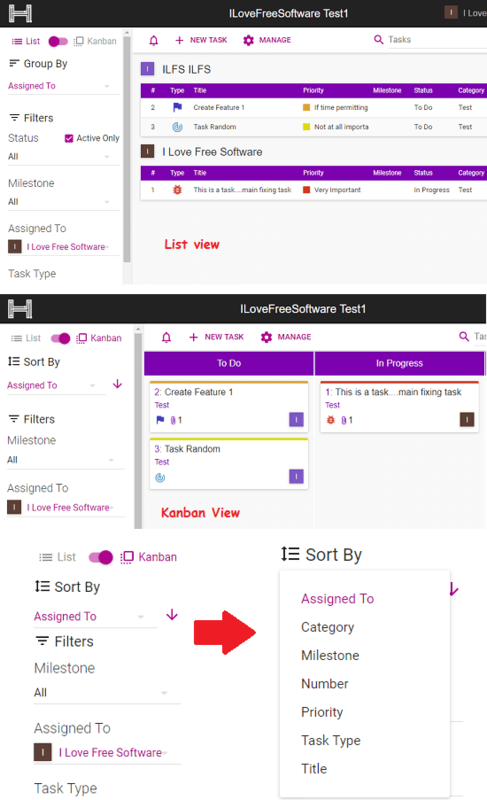 Above, you can see the Kanban Board and list view of the project tasks that Haplen lets you create. You can easily create a board for different projects and track the progress of different tasks like a pro. The filtering and sorting options are amazing and will help you get the details about the tasks in the way you want. Haplen is a very nice online project management tool that you can use. Use the powerful features to sort and filter tasks in the Kanban Board to get the right visualization of the project progress. I liked this tool for its simplicity and its features to enhance the features of a Kanban Board. So, if you need a sortable and filterable Kanban Board for project management then use Haplen. This post will help you in getting started with it.